As the automotive market turns to a future full of self-driving and connected cars, it begs the questions: what do we do while we wait? There’s currently no definitive timeline when this future will arrive, so for now, people in the market for a new car have a few options. These range from standard vehicles with traditional features, to more advanced cars that include modern semi-autonomous driving functions and advanced safety features. 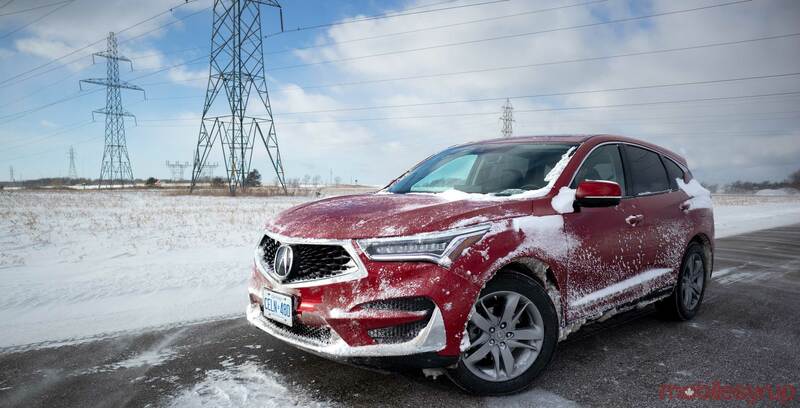 To check out what a modern car offers, I test drove the Platinum Elite trim of Acura’s RDX crossover. 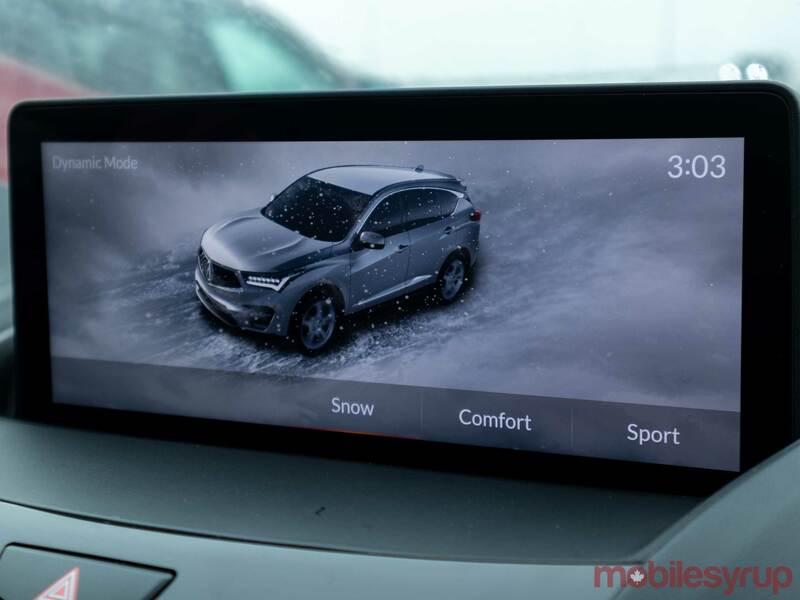 Acura has added its AcuraWatch driver assistance safety features to the RDX. This includes ‘Adaptive Cruise Control,’ ‘Forward Collision Warning’ and lane-assisted driving. 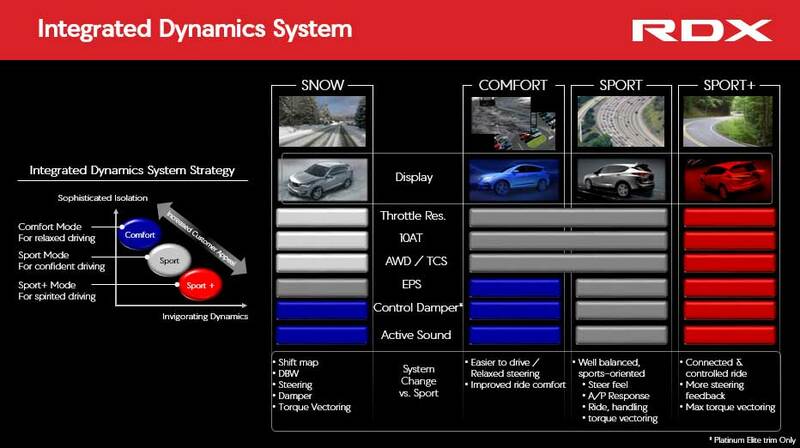 These features mean that the vehicle has an SAE-Level two autonomous driving system. The trim I tested also has a 360-degree camera system that’s perfect for maneuvering the vehicle in tight spots. MobileSyrup has a separate piece that details the interior tech features of the crossover. 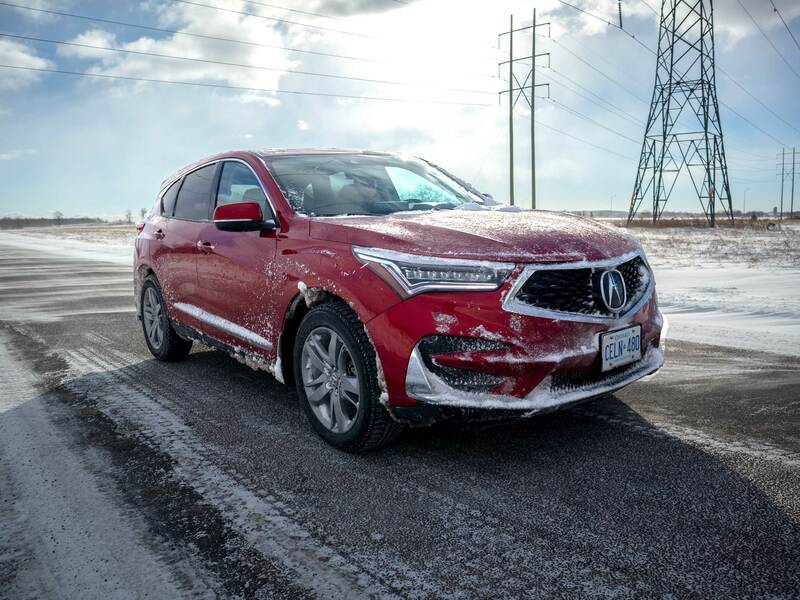 As I mentioned, the RDX has AcuraWatch safety features like Lane Keeping Assist System and Adaptive Cruise Control, which means that the car is an SAE-Level two autonomous-vehicle. SAE is the Society of Automotive Engineers. 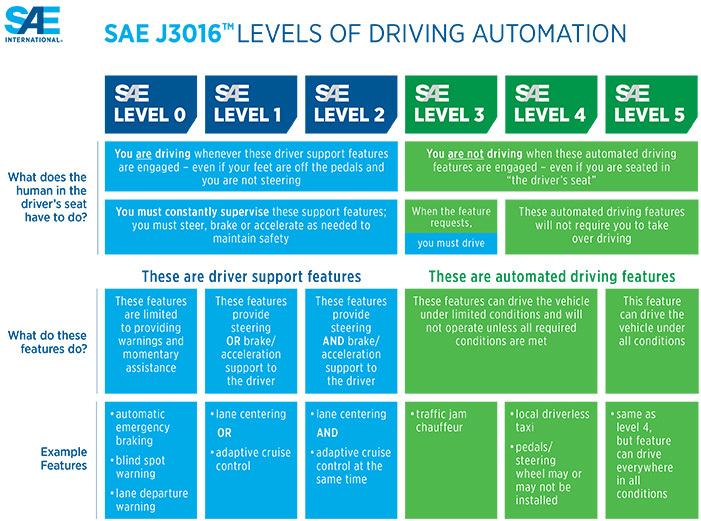 It has devised a six-unit scale for ranking various levels of autonomous vehicles. Adaptive Cruise Control and lane assist alone make the car feel like it can drive itself in certain situations. Adaptive Cruise Control is a feature that’s been around since the late 90s, and it works incredibly well here. Once activated, you can set your desired top speed and how far you want to stay behind the car ahead of you. If the car ahead of you stops due to heavy traffic, the RDX stops as well and then cautiously moves along with the traffic until it has an opportunity to reach your pre-set top speed again. Combining this function with the Lane Keeping Assist System allows the vehicle to control itself on the highway at speeds between 75km/h and 145km/h. The system uses a camera on the front of the vehicle near the rearview mirror to pick up the lines on the road and then apply torque to keep the car within them if it starts to drift. The car can use this system on minimally curved roads, but you need to steer for moderately sharp corners. Lane assist doesn’t work when you have the windshield running continuously or if the vehicle is in Snow Mode. 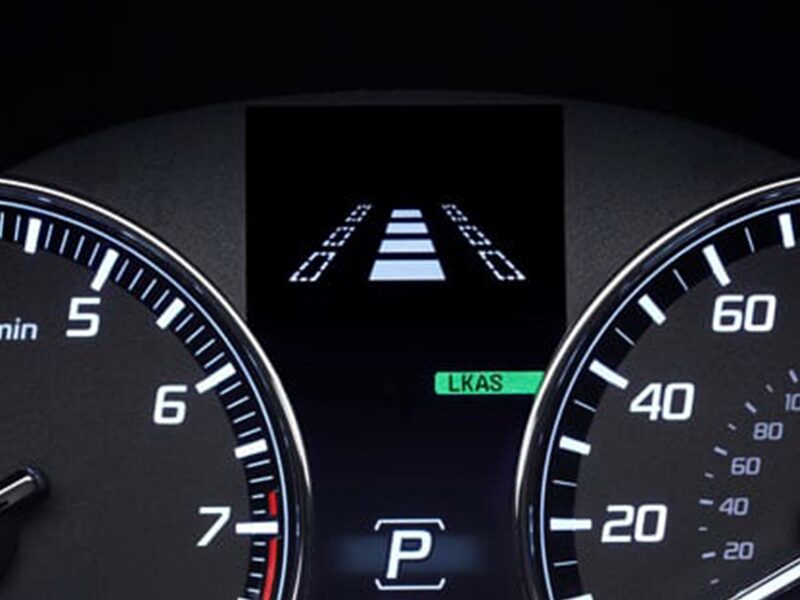 You can tell when lane assist is on or off with a simple icon on the dashboard that represents the lines on the road. When it’s enabled, the two lines are solid white. When it’s turned off, the lines appear as outlines, as shown below. The system disables itself slowly if it detects that the driver isn’t keeping their hands on the wheel. During my tests, after 30 seconds of hands-free driving, the vehicle chimed and flashed a warning on the screen. After a minute, it chimed repeatedly and flashed the alert for an extended period. At the next 30-second mark, the car does it again and then slowly turns off the lane assist, forcing the driver to put their hands on the wheel. Two proprietary buttons activate adaptive Cruise Control and the Lane Keeping Assist System on the right side of the steering wheel. The longest drive I did with the car was to St. Catherines, Ontario from Toronto and then back. On the way there, the weather was so bad that I kept the car in Snow Mode most of the time. This is one of the RDX’s five driving modes. In this mode, the vehicle uses a gentler driving profile aimed at maintaining traction. During the storm and the morning after I noticed high snowbanks and heavy snow seemed to trigger the object detection sensors. Which eventually resulted in me having to turn them off when navigating through tight streets and parking lots. If you own a car like this, it’s worthwhile to learn where the sensors are on the vehicle so you can clean them off in the winter. The next day on the way home the weather was clear, but there were a few small snow drifts on the edges of the highway. 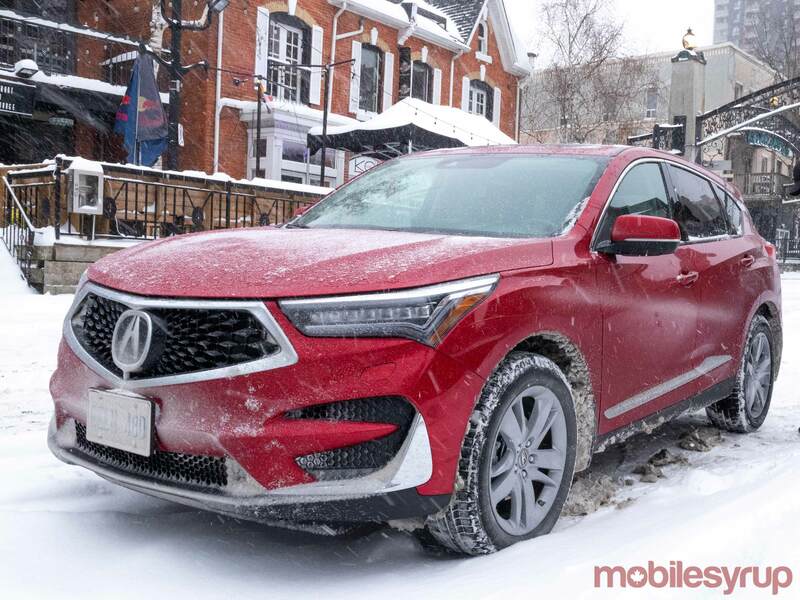 The RDX was able to run both Adaptive Cruise and lane assist during a vast majority of the drive. Acura added in a Forward Collision Mitigation Braking System that works in three stages. During the first stage, a warning appears on the screen and the car plays a warning chime. If the driver doesn’t react, the vehicle keeps sending visual and audio warnings, and it begins to apply pressure to the brakes. If the driver still doesn’t engage with the vehicle, it applies the full power of the breaks and continues with visual and audio warnings. This is standard on all trim levels except for the base model. The vehicle has a millimetre wave sensor inside of the front logo and the forward-facing camera to monitor for obstructions. All trims except the base model also have Blind Spot Assist and Rear Cross Traffic Monitoring, which means it uses the Blind Spot Detection sensors to look for objects as you’re reversing. There are four cameras on the vehicle; a rearview camera, two side cameras under the mirror and a backup cam. All four of these angles together provide a 360-degree view around the car when you’re reversing. Combining that bird’s eye view with the parking sensors, it makes parking the RDX easier than my much smaller Jetta which only has a single backup camera. Not all trims of the RDX have this function though. Only the Tech, A-SPEC, Elite and Platinum Elite trims come with a parking sensor feature that employs eight sensors on the vehicle. Four in the front, and four in the rear. I enjoyed the driver assistance features on the Acura RDX. While they may not be as advanced as Tesla’s Autopilot, they still offer a very comfortable and relaxing driving experience on long drives that include stretches of highway. The best part about these features is the simple matter of not having to be laser-focused on keeping the car between the lines. It’s hard to explain, but that fatigue that hits after a long drive doesn’t seem as bad when the car kind of drives itself. Also, the fact that the vehicle slows down and can crawl along with stop and go traffic is something I miss every time I’m in traffic. It’s the one feature that I can’t recommend enough. So while I asked at the beginning of the article, “what do we do while we wait for futuristic cars?” I’d now say that buying a car with SAE Level two self-driving features is very worth it because it made my cruise from St. Catherines back home more comfortable and easier than any driving experience I’ve had before.